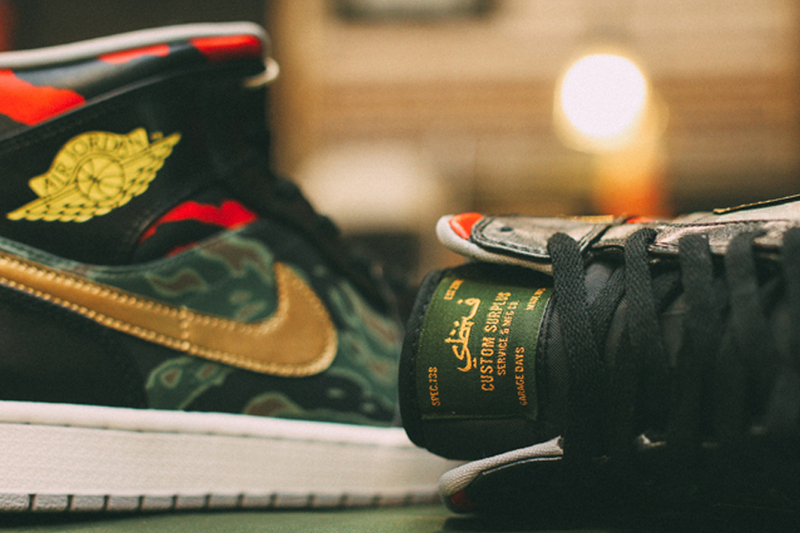 Singaporean sneaker customizer, SBTG has gained notoriety throughout the sneaker ranks based on his military-inspired customs. Now they’re delivering 12 fresh pairs of Air Jordan 1s featuring Gold Swooshes, Red Falcon Wing Stripes and signature Tiger Camo. These limited edition Js will launch exclusively at Sole DXB on November 14 at Level Shoe District.